On Monday night, the White House released 42,000 pages of documents about Supreme Court nominee Brett Kavanaugh's time working in the George W. Bush White House. Democrats, as you can imagine, were not pleased about the timing. ???? The Senate was just given an additional 42,000 pages of Kavanaugh documents the NIGHT BEFORE his confirmation hearing. This underscores just how absurd this process is. Not a single senator will be able to review these records before tomorrow. Schumer added that the Trump White House has been the "least transparent" in history. The late release of documents got Tuesday's hearing off to a fiery start. 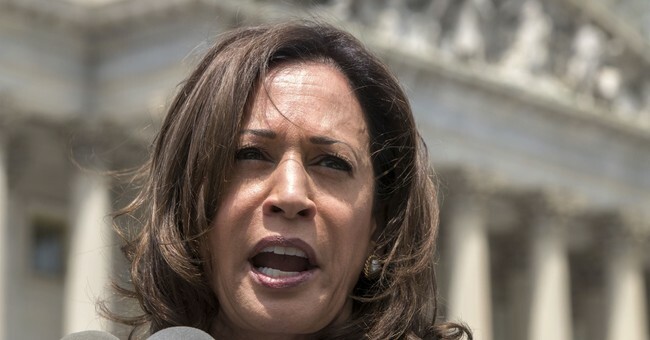 When Senate Judiciary Committee Chairman Chuck Grassley tried to get the day started, Sen. Kamala Harris (D-CA) interrupted him and insisted, "we have not had time to read or analyze" the documents. As a result, she said, "We cannot possibly move forward." Harris, Klobuchar, and Blumenthal immediately object to the fact that they just received 42,000 pages of documents about Kavanaugh. Ask for hearing to be postponed. Other Democratic senators chimed in and agreed that they should "move to adjourn" or "postpone" the hearing. "We have been denied real access" that turns the hearing into a mockery, according to Sen. Richard Blumenthal (D-CT). Sen. Cory Booker (D-NJ) asked Grassley, "what is the rush" and "what are they trying to hide?" During the Democrats' protest, a group of protesters erupted and chanted about "obstruction of justice." Kavanaugh sat stone faced the entire time. Once the Democrats had their voices heard, Grassley first reacted to Sen. Booker, telling him he did not appreciate his questioning his integrity. Then, he explained why it was fair to proceed with the hearing. The committee has already read 483,000 documents of Kavanaugh's executive branch service. This is more pages "than the last five Supreme Court nominees combined," he explained. These is "more materials than we have had on any Supreme Court nominee in history." It's not only Democrats who think the timing was unfair. On Fox News on Tuesday, Judge Andrew Napolitano called the White House's release of documents "exquisitely unfair" because it hardly gives Democrats time to sift through all the information to prepare their questions.